Thank you so much for a glowing review of The Leela Palace New Delhi. I am happy to read that city’s most luxurious accommodations with exclusive amenities added to the comfort of your stay while the handcrafted gourmet experiences were enjoyed by you. My team works passionately to weave the Leela charm into our guests’ stays. Your kind compliments for the staff services are thus much appreciated. 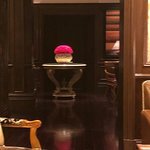 We hope to remain your preferential palatial hotel on many more stays in the capital. Tremendo Hotel!!!! Es precioso en todo!!! El personal atento . Los acabados muy finos y hermosos . Los arreglos florales le dan mucha calidez, con los colores . Son miles de flores en muchísimos arreglos en todo el hotel . El desayuno el más!!! El restaurante Circus ( italiano) exquisito y muy fino en todo. La zona de la piscina en el último piso, muy agradable , con una vista sin fin de New Delhi . El servicio del Club súper bueno!!! Buenos bocadillos( pasantes) y licor libre en la tarde. Este hotel nos encanto . Es una parada obligada en la India!!! Hay que dedicarle tres dias para disfrutarlo!!! Las excursiones en sus coches , con conductor y guía lo mejor. De allí tomamos por tres dias con conductor el viaje a Agra para conocer el Taj Mahal . No se necesitan agencias de turismo,!!! 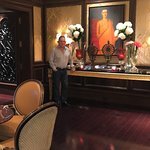 En Leela Palace ; lo consigue todo!!!!! Thank you for such a generous endorsement of The Leela Palace New Delhi. 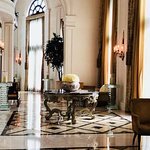 Our young palace is indeed one of the most beautiful hotels in the world that takes luxury beyond excellence. We are thus delighted to read that the grandeur of our hotel, stately accommodations, food and beverage offering at our award winning restaurant Le Cirque were appreciated by you in addition to the rooftop pool with panoramic views of the skyline, floral displays and exclusive royal club services that make guest experiences truly magical and memorable. It is also a pleasure to learn that you took advantage of our hands-on concierge services to explore the cultural city - Agra while staying with us. These special interest tours are designed keeping in mind our guest preferences and the concierge team is happy to learn that their dedicated services ensured you a seamless experience. We hope to have many more opportunities to welcoming you back soon again. El servicio y la atención son excelentes, las instalaciones de primer nivel, sin duda uno de los mejores hoteles en India, los alimentos son de primer nivel, es un hotel moderno de categoría superior, lo recomiendo ampliamente. Instalaciones cómodas y atención esmerada en todos sus servicios. La habitación amplia y con todos los detalles para una estancia inolvidable. El personal atento y dispuesto en cualquier momento para agradar al cliente. Decoración esmerada con preciosos centros de rosas. Recomendable 100 por 100. 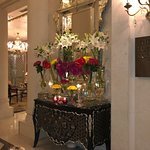 Thank you for your warm endorsement and generous recommendations of The Leela Palace New Delhi and for giving us the opportunity to be of service to you. I am glad that our luxurious facilities especially stately accommodations ensured you had a comfortable stay with us. The team is pleased to read that their dedicated service was a success. 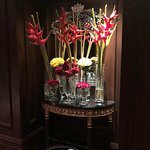 Like my young staff, the 14000 fresh flowers mentioned in your review are also the ambassadors of the palace welcoming guests at its every bent and corner. And I would also like to share with you that we are the only hotel in the world managing these many flowers not on weekly but every day basis. These are donated to an NGO of our choice, that recycles and converts petals and leaves into eco-friendly vegetable dyes and safe holi colours; selling for their little profit. My florists are immensely happy to know that you took note of these installations and praised their painstaking efforts. We all look forward to welcoming you back to the palace of your choice in Delhi soon again. 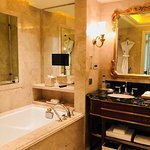 He estado 3 días en The Leela Palace en New Delhi y sólo tengo buenas palabras. 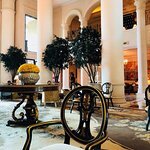 Es un magnifico hotel con impresionante decoración y excelente trato por parte de los empleados. Habitaciones muy amplias y bonitas y baño de super lujo con tódo lo necesario. Esta situado en un barrio muy tranquilo cercano a todos los puntos de interés. Probablemente el mejor hotel de la ciudad, sin duda, repetiré en mi próxima estancia en Delhi. It is heartening to receive your warm endorsement of The Leela Palace New Delhi. Thank you and your family for taking the time to share such a wonderful review of your recent stay with us. I am happy that the centralized location of the palace in the prestigious diplomatic enclave, just steps away from key sights and sounds of the city is recognized by you along with our stately accommodations complete with country's most well planned bathrooms which added to the overall comfort. Team Leela looks forward to your future patronage soon again. Un hotel fantástico moderno todo lo que puedo opinar es fantástico . We are delighted to receive your heartening endorsement of The Leela in India. Thank you for being our guest and for giving us the opportunity to be of service to you. It is a pleasure to read that your time was well spent with us and that all aspects of your stay added to the success of your trip. We look forward to many more opportunities of welcoming you back in the near future.